Updated November 1, 2016 – Let’s face it. Sometimes you just want to hear the television. For some people, hearing aids are too expensive or just over kill to be able to listen to the TV. If you have seen any late night commercials, then you’ve probably come across one for TV Ears. For those of you who are unfamiliar with the product, it’s a listening device or hearing amplifier made specifically for watching television. For those of you who are unfamiliar with the product, it’s a listening device or hearing amplifier made specifically for watching television. TV Ears can be ordered online or at TV Ears Costco. One of the big advantages of using this product is that gives you the ability to control the volume for yourself personally and not have to change the volume on the TV itself so that others can watch and not have to be blasted away with volume. What TV Ears Reviews users like about this product is that when they are using the product, it does not change how your TV would operates. So the tv can be on mute and the person wearing TV Ears can adjust the volume as they please. 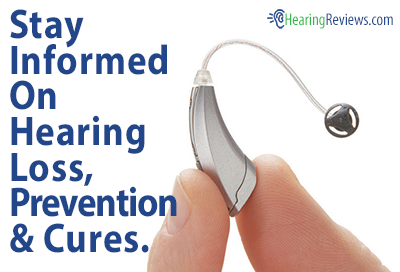 For this reason, those without hearing loss find this product very useful. For example, if you like to watch TV in bed and your partner prefers to read or sleep then this can be a great solution, so you don’t bother the other person with the volume of the TV. Another reason our TV Ears Reviews found this product is so popular is that it can work with just about any television set which includes HD TV, Digital, cable, and even satellite. Hooking up the electronics is easy, and there is a support number to call if you have any issues with setup. The company offers four models including Tv Ears 2.3, Original, Professional, and Home Theater. It is important to note that the original version does not work with Plasma or LCD TVs. What we liked about TV Ears. The unit is adjustable so that you can customize your listening experience by volume, tone, and balance. It’s wireless, so you don’t have to worry about any one tripping over annoying cords. We also like the fact that it comes with rechargeable batteries and a charging unit. TV Ears has what it calls Voice Enhancement Technology and Automatic Commercials control. However, we were not entirely sold on how well these technologies worked. Some TV Ears Reviews users have complained that the device hurts their ears. Others have had issues with the construction of the wireless set being flimsy and breaking. TV Ears Reviews users have also complained that the TV Ears transmit too much static noise. We should note that customer service with the company seems to be solid. When people had problems with the device they were able to get a hold of customer service via phone. In most cases, a new unit was shipped out to them. This is more than can be said for other hearing amplifier companies’ customer service. 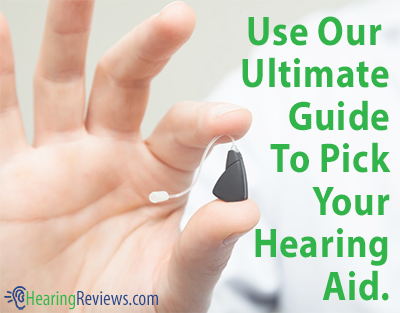 For more reviews of hearing aids and hearing products visit HearingReviews.com. I have been using TV Ears for a couple of months and have been pleased with the results. My reason for purchasing was that human voices in programs were often overpowered by background music and the TV Ears raised the pitch. Of course, commercials were never a problem. The weight of the device is sometimes distracting and I only reach for them when I need them. The volume control works very well. I detect little or no change when operating the tone control. I am using the TV Ears 2.3 and they work great. I would buy them again. They could be a bit more comfortable on the ears though. For me, the foam pads should be larger/softer and the spring tension of the curved bars (which press the earpieces towards the ears) should be a bit less strong or adjustable. I also found the TV Ears to be uncomfortable in the ear after a short time of use. So, I tried placing them next to the ears (above the ear lobes) but not actually in the canals. The spring tension holds them securely in place. This allows for many hours of comfortable use with clear audibility. I’m sure you have either had to purchase numerous pairs of headsets or just forget about it all together like the rest of us have. I had tv ears before but they broke very easily and I even tried to glue and tape them and they won’t work doing that. They really broke too easily. I gave up after that. While I was using them, I could hear clarity more than volume. That is the important thing. You don’t need the sound high if the clarity is good. I just wish they were more durable. My first paid lasted about one year. My second pair lasted five months. and replacement of just the sending unit is about $39. But they worked well while they lasted. There was a serious problem with my Internet connection and my phone became all but worthless. Both my Internet provider and ITP worked for around a month trying to resolve why my phone would keep breaking up, usually to the point where it was impossible to understand the person talking. Eventually the connection would just end by itself. I finally realized after the Internet field support technician asked if I had any wireless phones that operated in the 90 megahertz range as he said that would interfere with my Internet connection, which is wireless. About the same time a month ago when the TV Ears arrived the Internet service and, thus, the phone service got real bad real fast. I disconnected the TV Ears and the Internet and phone problem went away. Keep in mind that I receive Internet via wireless from a tower about a mile from my home. Other than this I love the TV Ears as I can finally hear what is being said on the TV. They are uncomfortable and make my inner ear sore. However, my ears get over it and I find it an acceptable trade-off. Saw the product at Radio Shack. Brought it home to install and somewhere near the end of the 4 pages of illustrated instgructions it is stated that installation requires non-digital audio out. Very few TVs have this – all are digital. Brought it back to the store and the salesman said this has been a problem. The company’s website is dishonest. Says it works with all tvs including plasma and lcd. This is true if you buy a “DAC” adaptor for another $60., and you only learn this if you go into the support or products part of the website. I’m sure it is a good product, but a little honesty in sales information would be nice. When the unit works, it is great. Cost of battery replacement and tips make this otherwise good product a no sale for me. I have a hearing problem and fixed income and the proprietary nature of those items is ridiculous. Their product becomes unattractive due to that and I will not use their product nor recommend it to anyone else. Tips and battery plus shipping equal almost new cost! First unit the ear pieces fell out.Called and e-mailed the company with no response whatsoever. Returned the ears to Costco ,got a new one in exchange the receiver died in two weeks.Don’t waste your money,the company does not return your call and the product is junk. My unit died after eight months. I thought it might be the battery so I purchased a new one for $25 and it still didn’t work. My 93 yrs old mother has been using TV without a problem for at least 10+ yrs. I bought mine, as did my sister at Costco for around $39 over a year ago. None of us has ever had a problem. I failed to mention, my 93 yr old mom has replaced hers once or twice in the past 10+ yrs since she started using them very successfully. Mine, that I bought at Costco more than a year ago for $39 is still just fine. Even if it breaks, I would not care. For that price I will just go buy another one. But I will never be without TV Ears again. Love them! TV ears are junk. I bought mine six months ago and they quit working. The guarantee is only 90 days and then they offer you another set for $25, I have no confidence that the next set would be any better. They are also uncomfortable and heavy on the ears. My ears quit working. As long as they are sitting on the charger you can hear the tv but when you take them out of the charger they won’t work. Can anyone tell me if they can help figure it out? For Ronald Mayle: See if the this might help you, Ronald: The TV Ears unit charges the battery when set on the charger. The unit needs to be shut off. If you are hearing the TV while it is on the charger, the unit is not charging. Therefore, when you put the TV Ears on your haed, they won’t work because the batter is not charged. If you are doing this, then I have no idea what is wrong. Good luck. I have had two inits in the last 4 years. Both of them shorted out on the arm (between the ear piece and the battery). They worked great for 5 months then the battery died. The cost of the battery is way to much. I would not buy these again. I have two units that I love. I agree that the ear pieces are not comfortable so I replaced them with some ipod ear buds. If you know anything about electronics and soldering, it is a very simple change out. They work great. No problems with the battery. I am on my 4th headset. (the arms break) The weak spot is where the arms come out of the unit. The arms should be stronger in that area because of the flexing when putting them on and taking them off. Better design in that area should be looked at. As for the the soft ear pads, when they come off I don’t replace them. I can hear the tv just as well. The only reason I replace the headset is because of the broken arms. Now I have extra batteries. I get about a year out of a headset before a arm breaks. C) the ridiculous cost of shipping. I totally agree. Two simple, inexpensive batteries are glued into front half of head unit receiver so all has to be replaced at cost of at least $20 or more. Batteries that came with unit lasted less than one year, even though not used very often. Bought new batteries, and units still not working. Customer service claims I need new base unit/transmitter for $40!! Fogetaboutit! Poor quality devices and much too expensive to keep replacing parts. I also have had a set of tvears which were given me as a Xmas present this year. The ear muff came off immediately, I then experienced static through the system, tried both the remedies in the trouble shooting part of the manual to no avail. I have had no response from the supplier and cannot get any replacements. The cost is also a turn-off. Do not buy this item as they are not reliable. For the price, it is hard to beat the TV Ears product in their small area of the hearing assistance field. They offer several models and we think the least expensive units do as good a job as any of the others. These products are designed to allow the wearer to hear TV in his living room; they do that and not much else. They were not designed for more and should not be expected to do any more. Williams Sound and Sennhiser also make products in this area. You could “hardwire” a speaker or headphone to your TV and save some money. A speaker behind your chair would have the same effect in terms of hearing the TV better, but you would have to consider the effect on others in the room. Headphones that are hardwired offer excellent reception and low cost; however, you have a wire running across the floor. Bought from COSTCO, used it five hours a week and the transmitter goes bad in an year. One of the five LEDs on the transmitter goes bad and the signal transmit angle is reduced. The range seems to be same as before but I have to have the headset pointing to the transmitter to get rid of the static. I have purchased so many of these tv ears for my husband is not even funny, the charging bases do not seam to last he has gone thru 2 or 3 bases just quit charging the set that goes into the ears and it is all most impossible for us to be in the same room when he is watching tv with out the ears but going broke buying the bases for the ears and i do not think i can even by the charger unless i buy the complete set is their any other thing on the market that is reliable and will last for more then just a short time. My sister-in-law goes to yard sales and get’s the baby monitors and say’s her husband puts the box next to the tv and the other on her husband’s shoulder and works out perfect but my husband would like to try and find out why these tv ears have such a short life for the cost first pair we pd 99.99 and the second and third 79.00 it is getting to expensive to keep going this route [help]. need to know what we can get other then the baby monitor that is made for the purpose of hearing the tv as these tv ears are not a good product at least 1 that does not last for more then 6 month’s and replacing them that often is getting to expensive Sincerely Betty Jean Wallace, hopefully some 1 has an answer for us on this matter. Tv ears are one of the better products for what they do. They do not stand up to a great deal of abuse, but we have found them to be a reliable product. They offer several models and we have not seen much need to recommend more than the basic model, unless you need receivers for two people. Star key has recently introduced the new Wi series of aids. These have an accessory that.allows the hearing aid to couple directly into the tv or other audio device, there is nothing to break with that system, but it is a several hundred dollar addition to the hearing aid. Works great though! Several other companies have introduced neck loops and other devices that do a similar function on, but to the best of our knowledge, star key is the only one that does not have added pieces that could get lost. I have been thinking about buying a set until I read the comments on this page. I think I am going to take a look at wireless earphones from future shop. Like other reviewers whose comments I have read here, I have today ordered my third transmitter in about two years. Though the company sells them at a discount, I still have to pay for it. The only explanation the company rep would give me over the phone was: “Well, they’re warrantied for 90 days.” Such a deal! Recd.TV ears yesterday,I’m returning them today. Followed the instructions to the letter, after charging for double the required time I tried them. I got no receiption over three feet away from the transmitter. Tried TV ears on another set with the same results. Called tech. services and was on hold forever and gave up. I really wanted them to work, but was let down. TVears only seem to work with analogue audio outlets. My TV hasn’t got these (has anyones…I thought they went out years ago) You get to know this only after you have bought the product. There is no way I am going to buy the converter kit…what a con! The ear cushions lasted almost 10 days. New ones were priced at rip-off prices. So, I used it without the cushions. Then the batteries went dead. Another excess price. So I threw mine in the trash. Let the buyer beware. Or as Barnum said. There is ma fool born every minute. Got TVA Ears as Xmas gift. Had to buy DAC converter for LCD TV. Hooked everything up–doesn’t work. Called tech support, no clue. Called Samsung TV tech who says headset no good. BUT, digital connection indicator light does not illuminate on DAC. So far NOT impressed. We’re into this now for nearly $200 and now have only junk!! Sounds like your TV does not have the red and white analog “Audio Out” jacks. Unusual, if true. Does appear you are using the TV “Digital Audio Out” port (either optical or coax) running into the DAC, then out of the DAC to TV Ears via the red and white analog ports. NOTE, though, that the TV Ears DAC unit will NOT pass Dolby Digital signals. If you are trying this set up with your TV tuned to a program in Dolby Digital, you will likely hear noting via TV Ears. Also, if you are using an HDMI cable into your TV from a cable box, it is possible that your TV won’t pass any audio through to the Digital Audio Out jacks. Try running the audio directly out from the cable box to the TV Ears and see if that works. Is there something better that will last. I’m retired and on a fixed budget. Why buy something that is not comfortable and will break after a few months? Please recommend a better product that is reliable. Thank you. A year ago at Costco I bought the speaker box unit but use it with two headphones by way of a spitter. Works well up to now. Recently got a whole TVears unit at a garage sale for $2.00 and will try it. I have a Sennheiser unit I use on my stereo and it is great but headphone is heavy. At $10.00 at Goodwill it was a good buy. Not encouraged by the reviews. They do a good job for the hearing impaired (my wife and I), but there is a big problem with durability. The first pair lasted 4 months, and the seller had the integrity to replace it with a new set despite being over the 3 month guarantee. The replacement lasted longer–15 months. Should have seen the 90 day guarantee as a warning that the maker had no confidence in the unit’s construction. A shame. Will not buy again. A few of years ago, I bought a dual headset TV Ears. Technically it performed very well in terms of amplitude and tone control as well as allowing independent control of each headset. However, within a relatively short time, the “flexible” arms of one of the headsets snapped. I was able to glue the sections but it simply cracked in another part of the “flexible” arm. When I reported this to the company, I was told to simply BUY a replacement headset. In rapid order (at intervals of a few months), both “flexible” arms of both headsets cracked. In short, although doctors may recommend this product, according to its advertisement, it clearly needs an engineering assessment and truly flexible arms. DON’T BUY THIS PRODUCT without checking whether the above manufacturing improvement has been made!! I believe these fragile units are poorly designed. They are extremely uncomfortable. You need to be in a fixed position. The buds break easily and they are expensive to replace. Customer service feels like they are doing you a favor. I have since replaced these with other more comfortable devices which run about the same or less. I have used TV Ears for about 10 years. I use them everyday. With them, I control the volume to my ears without disturbing anyone else since they work independently of the TV control. My husband adjusts the TV for himself; I adjust the TV Ears for myself. It has saved us from experiencing the anger; frustration I routinely see couples experience over the TV volume. I own a total of 6 units, five I bought; one was a gift. I’ve owned other, similar products but these are the absolute easiest to use, best quality of anything I’ve come across. I use one unit with two headphones in our living room, the same in our bedroom. I also keep one set to travel with me. They are so simple to set up, I’m able to use them as I travel, hook them up myself. I’ve had very few problems over the years but the customer service was excellent & my concerns were quickly taken care of to my satisfaction. Being hard of hearing is no fun, but TVEars eliminate the frustration. I plan to continue using them to enjoy television; not get left out. Great product! I agree with the comments above. Great concept (TV Ears) but poor reliability. We’ve had two tramsmitters fail recently. One lasted about 13 months and the next about 10 months. I do take exception to their “5 Year Warranty” as it’s really only a 6 months warranty as you have to pay for replacements after that time. The give you a “discount” but the transmitters still cost you about $40! I’ve sent a note to them (in writing) with my issues but probably won’t get an answer! I have had my set of TV ears for just about a year now. Using the silicone earbuds and placing them in front of my ears, not in my ear canal, I can listen in our bedroom in relative comfort while my husband sleeps. I use these on average 2-3 times a week, and while they have held up better than those I’m reading about here (no breaking or snapped arms, etc), I am having issues with battery life decreasing down to less than 90 minutes. As to connecting to LCD TV’s, my husband hooked our LCD up to this set (version 2.3) without issue. Does anyone know of any other brand/product that does what TV Ears does? I’ve looked and can’t find anything similar, and if that’s the case, that would explain why TV Ears gets away with charging such exuberant prices for it’s products. Instead of plucking down my money on another headset, I’m thinking of buying a decent set of headphones with a long extended cord. Nothing to break, no batteries to wear down. My mother who is now 95 bought TV ears when they first came out several years ago and was very satisfied with them. Eventually when the battery wore out, I checked to see how much it would cost to replace it and the ear buds. It turned out that it was going to cost almost as much to replace these items as it would to buy the new 5.0 model with the discount she could get so we opted to replace her old TV Ears. BIG MISTAKE. We are on her third set of headphones since she received the new device in February (it’s now the end of March). The first headset had problems with reception and was replaced (we sent back the other at our own expense). The second set’s ‘arms’ both snapped within a day of use. It was replaced (again, other sent back at our expense) and now the third set has also snapped within a day of use. This is obviously a design flaw. Compared with the original headset which had sturdier ‘arms’ and great flexibility at the base, these headsets are stiff and inflexible. Exactly how many times will we have to have them replaced and returned (at our expense) before something is done? My advice is to find something else, if there is anything, until this flaw is corrected or you will spend most of your time on the phone and at the post office instead of enjoying your favorite TV shows. There is absolutely no way to return this product for money back after 15 days. They will keep replacing head set and base but will never return your money. The headset battery went bad on 3 headsets and 4 months later the base failed. This is a unreliable product from a non caring company. A month ago we ordered the new digital tv ears to replace a 5 year old set that quit working. Within a week of receiving them both headsets broke. They were very flimsy. I called TvEars and they sent new headphones to replace the broken ones. When I questioned whether they would last longer than the first pair I was told that they were aware of the problem and were using a different plastic in the newer headsets. However, if they were aware of the problem why did they send out the defective headsets when we ordered the new digital set? Now I have to pay to return the broken headsets or TvEars will charge me for the replacement headsets. I call that poor customer service. I just upgraded to direct tv genie mini and it only had digital audio port. How do i connect my analog TV EARS ? When I first received my TV Ears they did help me hear TV better although they did not have the frequency range range that they claim. Voices often seem muffled and difficult to understand. It is also practically impossible to situate them in your ear so that they are both comfortable and you hear the best. And even more difficult to keep them in the best position. My main complaints are quality though. The battery which they claim will last for years, would only hold a charge for two hours after only nine months use. But they will happily replace it for only $25 PLUS shipping. Then the left arm to the ear bud broke just above the receiver. From other complaints, this seems to be a rather common occurrence. Under their warranty, they again will happily replace it for only $50 PLUS shipping. That is practically what I paid for them in the first place, only nine months ago. Overall, my impression of TV Ears is they are poorly engineered, cheaply manufactured and the warranty is worth less than the paper it’s printed on. I saw the add in a magazine several months ago and thought I would try a pair. The first one I got only lasted two months and died on me. Sent back and for around $25 I got a replacement and it only lasted two weeks. Took the small screws out and found the problem was acid leaking batteries. They told me they would send me new batteries for around $25. and I just put them away. I would not recommend them to any one. The product does enable one to hear the tv much better but delivered to you with a basket full of problems. Very poor quality. Ear pieces broke almost immediately. Warranty covers everything but these. Batteries went bad. Read their warranty, It says limited lifetime but it’s really only 6 months. They are a scam. I have purchased two sets of tv ears now and both headsets snapped after little use. Made very flimsy and cheap. Don’t waste your money as the company has no desire to satisfy their customers just “milk” them for more $ and more$ and more $. DO NOT DO BUSINESS WITH THIS COMPANY! I use them only at night while everyone is sleeping. I like to go to sleep with the TV on but while lying on my side, it hurts my ear!!! If they could make them that I could just use one in either ear, I could go to sleep without it digging into my ear. My friend has a cell phone in her car and uses a Bluetooth wireless and only needs one ear plug in her ear. Why can’t they make TV ears to do the same. Maybe they do, but i’m 84 and can’t keep up with Technology as I used too. I am not satisfied with the TV ears at all. I had to replace the transmitter once and the head sets 2 times and now another has gone bad, after about 2 weeks. To replace the other head sets I had to pay a little over $19.00 to get the head sets that were under their warranty. I head set that just went after about 2 weeks TV Ears still want $19.00 to send out a replacement right away, but if I do not want to pay the $19.00, I will have to send the faulty head set back and pay for sending it and TV Ears will send out a replacement that I might get in 2 weeks? Not Happy with TV Ears at the moment. While they work just fine, they are poorly made. After 1.5 years both sets broke under normal use. Check out everything else first. I have had many pairs over the years.They are poorly made and break easily no matter how careful you are.One pair lasted less than 6 months and its replacement lasted less than 3 months.The company was willing to replace them for about $50 dollars.They do work well but be prepared to be paying through the nose for as long as you use them. I purchased the TV Ears for my husband in June of 2014. Initially he had good luck and the sound was good for him. Within a few months the “bows” broke. We called and had them replaced, but had to return the original at our expense. Within another few months the sound had much static. The unit was replaced. This year the bows broke again and the sound wasn’t coming in at first; after about 15 minutes it would come in for about 45 minutes then cut out again. We again called but it was after June 2015 when we called). The warranty was only good on the FIRST product we bought, not the replacements and we had to pay $25 for the replacement bows (I see the whole unit now available for $59 – I paid $99 in 2014). We are very disappointed in this product and would recommend it to no one. If anything happens again we will give up and know that we wasted our money. Should have read the other reviews before buying. Lesson learned. I purchased the basic non-digital TV Ears for my boyfriend. Although quite uncomfortable, he liked being able to hear the TV clear and the rest of us enjoyed being able to have the volume back to a reasonable level. A year later I ordered the digital set because of the better clarity. About 3-4 months later one of the two ear sets developed a terrible static that we can not fix. For the price of the digital set, I expected more. So he’s now back to just one set of ears. At 71 and living in the northeast, winters are spent in front of the TV….with the TV volume loud while the one good set charges…again. If we buy another set I’ll see what other options we have before buying these again,. We loved the TV Ears when they are new but their lifespan isn’t long enough for what we paid. My earlier TV Ears had a balance control, which allowed me to compensate for my less capable right ear. The newer model does not have a balance control. I noticed that by rotating the bottom of the unit from below my chin 90 degrees to where it was in front of my nose the sound and clarity increased. TV Ears support (they are responsive) would not replace the faulty unit. I had to buy a discounted new unit. Their product is faulty, but now I have paid them the original price and an added payment to get what I should have gotten in the first place. My next replacement will be from someone that has a better warranty. .
My better half bought one of these. After much less than a year the sound began to cut off. Although there is a “5 year warranty” it says after a limited number of days a defective unit will only be replaced if customer pays half of the original cost. The literature says before replacing battery call the company. You call the company and they say the problem is not the battery you have to replace the headset which will cost you fifty some dollars. We bought battery elsewhere for $12 and unit was as good as new. I have purchased 4 sets in the last 2 years of the TV Ears 2.3 and am very disappointed in them. The stems have broken on all 4 sets. My most recent purchase was 2 months ago and the stem broke again. I have called the company regarding this issue and they suggested I purchase the newest model. I just spent $90 on the latest pair and am disappointed in the company’s answer. I would not recommend this product and plan to tell all of my friends who are thinking of purchasing this product not to bother. I have purchased 4 sets in the last 2 years of the TV Ears 2.3 and am very disappointed in them. The stems have broken on all 4 sets. My most recent purchase was 2 months ago and the stem broke again. I have called the company regarding this issue and they suggested I purchase the newest model. I just spent $90 on the latest pair and am disappointed in the company’s answer. I would not recommend this product and plan to tell all of my friends who are thinking of purchasing this product not to bother. It seems that other people have had the same problem but the company doesn’t seem to care about the consumer. I was so excited when I got my ears and could finally understand the TV and then within a few days the unit broke and we had to send it in. I believe I’m on my 5th pair of headsets because bows break (my current pair has both sides broke). I also don’t like the way the warranty works, either you have send your headset back in to get a free replacement or if you want quicker turn around they charge you $19,95. I don’t know for certain but it would be my guess that the majority of folks pay the money so they don’t have to be without ear for a couple of weeks. This to me is a total rip off. The product works if it’s not broken, which in my case if most of the time. I would not recommend this product to anyone. Called customer service after the 180 day warranty bought in May 2015 it is December wants to charge me for new headset due to mine breaking at the base can’t superglue to heavy. Wants to charge me 49.95 for a replacement. They know they have a problem with them it is wrong to charge for them at 210 days. I’ll never buy from them again. Make sure your tv has a menu that allows “ears” volume and normal tv volume. broken. I know, as I have repaired two pairs and bought three pairs for my mother-in-law. our TV doesn’t allow you to listen to normal volume on tv and the ‘ears’ to control the ‘ears’ volume. They just shut off the normal volume when they are used. I have used multiple sets of TV Ears for the past 8 years or so. They are the cheapest, most poorly built thing you will every buy. Yes, when they work, they are very helpful, in spite of being uncomfortable. But, they are so fragile, you mjust handle them very carefully. There is an entire cottage industry on ebay of vendors who repair the “arms” of the TV Ears because they break so often. Unfortunately, there is no good alternative. For the nearly $200 you might pay for a new set, you get a 90-DAY GUARANTEE??? Buy a used set as cheap as you can find, and just keep replacing them. I have owned two new sets that broke the arms within a year…they really are a piece of s&%t. Now, having said all this negative stuff, the TV Ears will help keep peace in the house if only one of you has a serious hearing problem…that is, until they break. I bought a pair of ears and speaker from Costco on line for $204. Speaker arrived faulty, ears were out of sync.., the factory rep. was pleasant and knowledgeable and corrected the sync. on the phone. The speaker, I waited to see if it corrected its self but finally had to send it back after arranging with the company, on the understanding they would only send me a new unit when they receive mine. Mean time I’m with out an operating system.. They said they would allow me $10 postage, it cost me $26.99. I had to phone them because they could not phone me wintering in Florida with a Canadian area code, go figure?? Definitely a nickel and dime policy company. If, when I receive the speaker, I have any more problems , it goes back to Costco, let them wrestle with them. I have a hard time believing some of these negative reviews. I have had my first set of TV Ears for about six years and they work great. I replaced the battery after about three years – par for this kind of device – and it’s only about $20 on ebay. I didn’t like the original ear cushions so I replaced them with silicone covers for a couple bucks a pair on ebay. After 6 years of daily use one of the side pieces finally broke – they flex every time you put the headset on or take it off so eventually they will break – but I am impressed with the product. and am going to order a new set now. John–They are JUNK. Dont waste your money!!!! The arms keep breaking -very poorly made!!!!!!!!! The Digital TV Ears will not work off a splitter. You have to be plugged directly into the digital optical outlet on your TV.